They definitely bake the muffins fresh. The rest of the baked goods taste freshly made but I’ve never actually seen them coming straight out of the oven, like I have the muffins. Hey, Murray from JJ Bean here. I just wanted to thank you for you kind words about our cafés. We are always happy to please the coffee snobs of Vancouver – we consider ourselves to be coffee snobs too! In case you’re not yet aware, we’ve just opened our 10th location, right on the corner of Alberni & Bute. Also, all of our food comes from our very own bakery on Railway St., and all of the baked goods are baked on site. I also love the coffee at JJ Bean. Today I was at the Alberni & Bute location. I always drink espresso or Americano, as pure as coffee can gets (no sugar or milk/cream added). 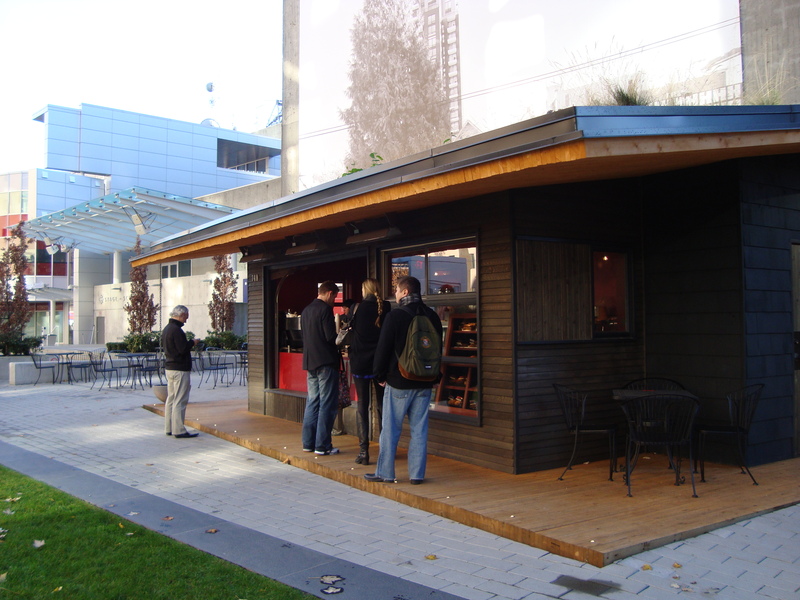 And I have to say, the best coffees I had here in Vancouver were at café Artigianio and JJ Bean. A lot of times at other coffee shops the Americano is too watery and lacking flavour. The barristas at JJ bean are also very good at ‘latte art’! I have to admit that JJ Bean is one of my favourite go-to coffee shops. The others being Revolver and Nelson The Seagull – it just depends on where I’m at in the city as to where I go. I used to LOVE Artigiano but I personally think their quality has really slipped. I was just there again on Friday and was completely underwhelmed. Thanks for dropping by Shira. I absolutely love JJ Bean – they are my go to coffee shop during the week (I save weekends for trying new places). Hope you enjoy reading my blog half as much as I enjoy writing it.